New Delhi: Whitney Wolfe Herd is tired of saying the same things all day. 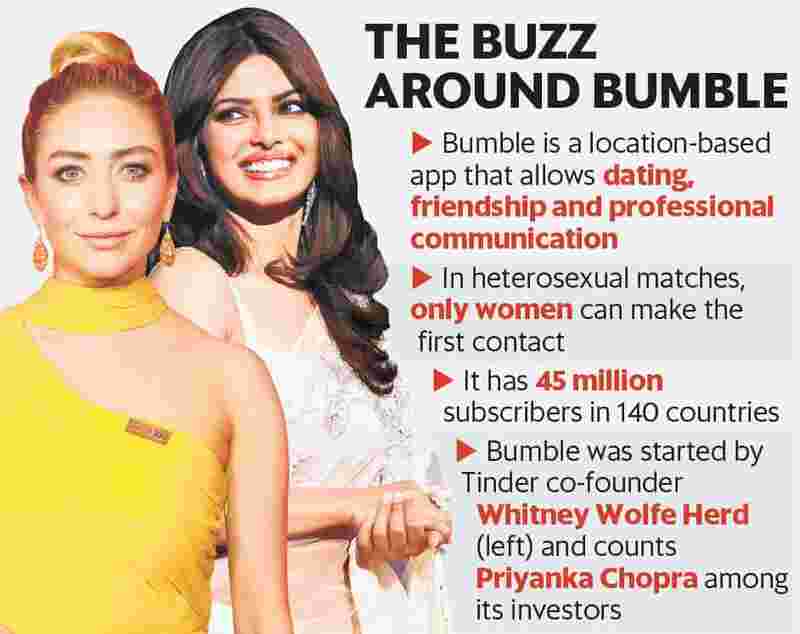 But the 29-year-old Tinder co-founder, who is in India to launch Bumble, knows that it’s important for her to introduce the country to what is known in much of the rest of the world as “a feminist dating app". “India has always been on the radar. It is an important market because there are millions of women here and we are a product built by women to be able to empower women globally, to recalibrate gender and patriarchal standards," Herd said on Wednesday. Sarah Jones Simmer, Bumble’s chief operating officer, said India is attractive in terms of the moment it is at, especially when it comes to women. “We have this technology that allows them to take on a more meaningful role in the most important relationships in their lives," Simmer said. “We’ve learnt that women are quite similar across the globe. They all have a voice, they all want friendship, respect, opportunity and the ability to be themselves, it’s not nuanced differently in India and America," Herd said. “It’s been fascinating to sociologically approach the beautiful tradition of India, make sure we don’t damage that but make a positive impact." “We are focused on combating misogyny. Other products are driving their business looking for numbers. While those things matter to us, they are secondary. We are coming in with a mission," Herd said.